New Bollards Limited, steel and stainless steel illuminated bollards can be a used as protection and for the illumination of car parks, pathways public realm and countless other situations where illumination and perimeter protection is required. 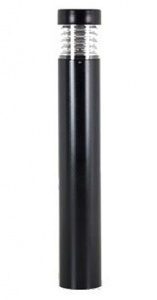 Carmona illuminated flat top steel bollard with a 930mm height above ground and features a 177mm diameter. Rhino illuminated domed top round steel bollard with a 1000mm height above ground and features a 150mm diameter. Rhino illuminated flat top round steel bollard with a 1000mm height above ground and features a 150mm diameter.